December 8th is National Fish Day!!!! Since December 8, 2000, RN has declared December 8th National Fish Day!!!!! So, when next December 8th comes around, kids: tell your parents and your teachers that it's National Fish Day and everybody should get the day off. If they don't believe you, tell them to go to fishday.4mg.com, RN's official website for National Fish Day!! 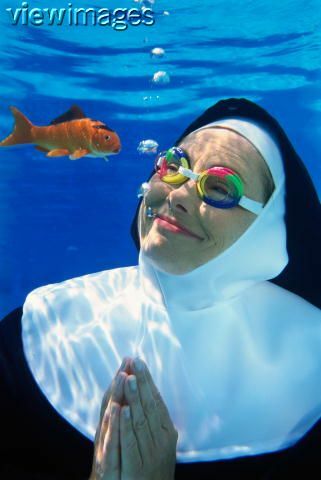 Even Nuns Celebrate Fish Day! We have a new poll right on top of the old one. Keep voting on both!! Good god, we have an update!! Something must be terribly wrong!! We have put a PROLOGUE for 101 Dalfishans. A prologue? For 101 Dalfishans?? NO WAY!! Somebody slap me, I MUST be dreaming. Due to much demand, (actually, we just felt like doing this) we have made PHOTO PAGE III!!!! So what are you waiting for, check it out!!!! If your birthday is on National Fish Day, then you have officially been named a Fish Lord. You should feel very special to share your birthday with the fish around the world. It is a great priviledge to be named Fish Lord. Do not abuse this priviledge. Yo whats up. sorry I haven't updating this website in a really long time but I've been pretty busy. I just wanted to let you know that we are not out of business or we are stopping updating this website. It is still going!!!! I also wanted to let you know that if you go to this website and register (FREE!!) it will help me a lot!! !